Installing the TeMeDa Native App on your mobile device is the same as installing any app so you should be familiar with the process. To install the TeMeDa Native App search “temeda” on either on Google Play for Android phones or the App store for Apple phones. Verify that you are not installing the TeMeDa Installer App. To log into the TeMeDa Native App for the first time, you will need your Access Code from your browser login. To get your Access Code you must be an existing TeMeDa customer and have an existing UserID and password. Log into your web portal TeMeDa account on either a PC or a browser on your phone. 1. Once you’re logged in click “Settings” > “User Profile” from the top navigation menu. 2. 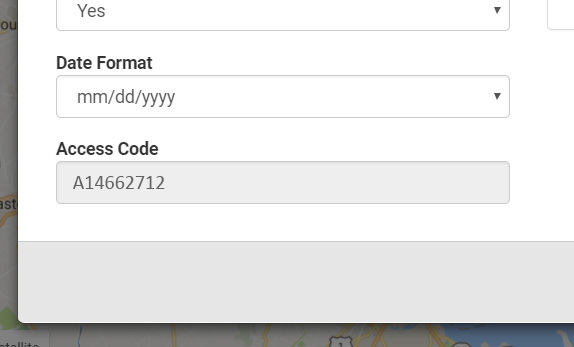 At the bottom left side of the User Profile screen you will find your “Access Code”. 3. 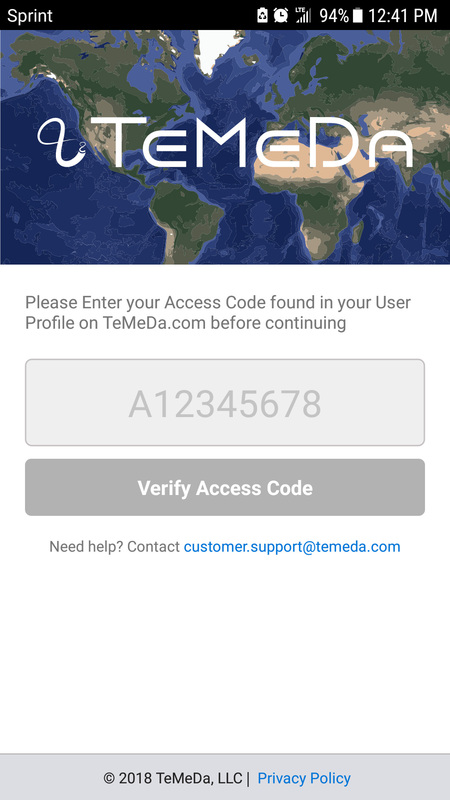 Enter the Access Code into the TeMeDa Native App and tap the “Verify Access Code” button. 4. Now enter your existing TeMeDa portal UserID (email address) and Password, then tap the “Login” button.